Chris Pronger is living a very surreal life. The former Hart Trophy winner has not played a game since November 2011 due to post-concussion syndrome and vision issues from getting hit in the eye by the blade of a stick, but he still has an active NHL contract. That led to an interesting series of events over the weekend. Pronger's contract was part of a trade with Arizona Saturday as the Flyers attempted to get Pronger's contract off their books since the defenseman has not officially retired but will never play again. 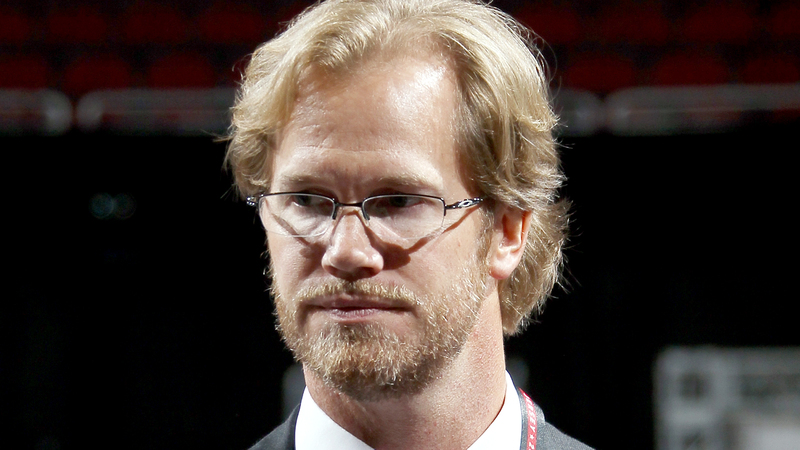 Pronger has two years left on his contract that are worth $575,000 each, and he currently works for the NHL's Department of Player Safety. In March, the NHL ratified new bylaws that declared a player eligible for the Hockey Hall of Fame even if he is still under contract as long as he has not played in a professional game in three years. Pronger fits that category, and thus he was elected to the Hockey Hall of Fame on Monday, two days after he was "traded" to the Arizona Coyotes. "I think nothing I've done has been the easy way," Pronger told Puck Daddy of the unique proceedings. "I guess this would follow suit." If the timing of Pronger's selection for the Hockey Hall of Fame was unique, so is his current position with the league. Pronger will be a Hall of Famer thanks to his often-menacing play on the ice. At 6-foot-6, Pronger always had the size to be a very physical player, and that was exactly the role he played. Some of his style of play would no longer be legal in the NHL today. Some of it was not legal during his playing days either, as Pronger was suspended eight times during his professional career. It was a whacky turn of events that led to Pronger's selection to the Hall of Fame, but whacky seems fitting for the former on-ice enforcer who now works off the ice to enforce the rules so no more players see the same premature end to their career that Pronger did.